How to resolve excessive CPU usage? 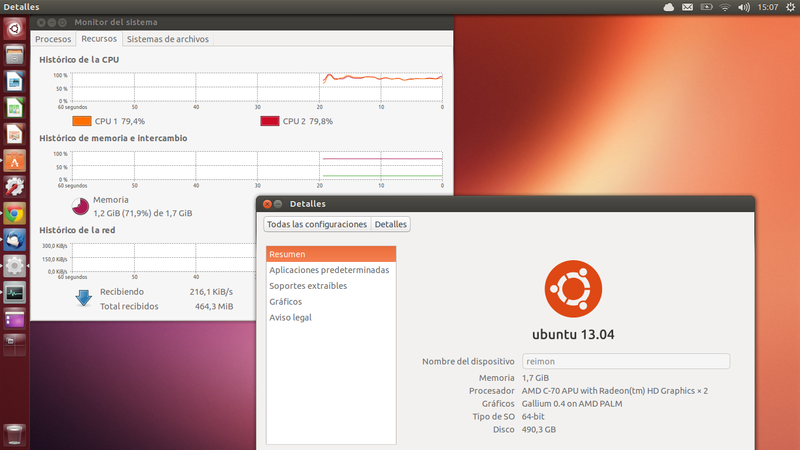 I just installed Ubuntu 13.04 on my brand new notebook and PU usage is insane. I'm a new Linux user. Can somebody help me? Apparently you are using an AMD C-70 DualCore with a 1.3 GHz clock. That is not very much CPU power. And a chrome instance can easily use it entirely. If you want to know which program is using your CPU the most switch to the 'Processes' tab ('procesos') and sort by '% CPU'. Not the answer you're looking for? Browse other questions tagged 13.04 cpu ram-usage or ask your own question. How can I install Syspeek in Ubuntu 13.04? GUI for monitoring CPU usage (including L1/L2 caches) in real time?